It has a lot more space and capacity than it seems at first glance. 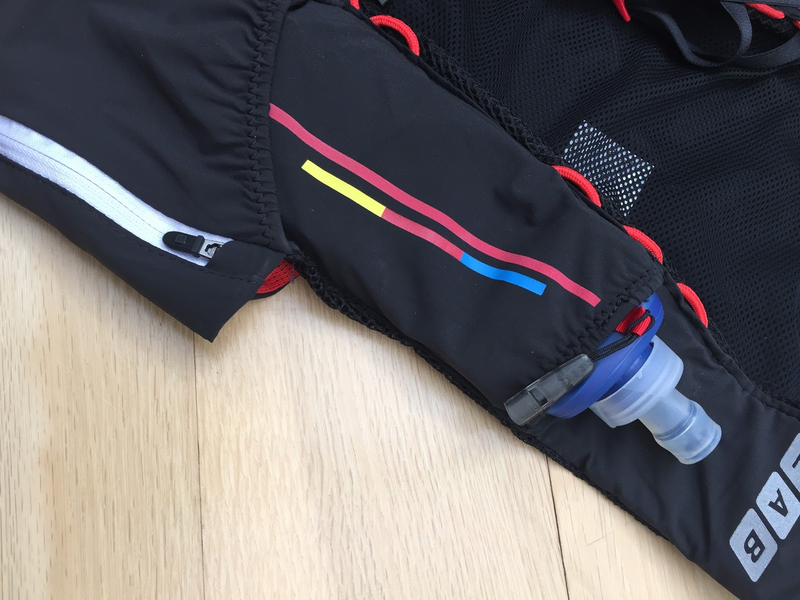 A whole list of them can be found via the link above but some of the features include; 1 large back compartment, 2 zipped pockets plus another phone zipped pocket as well as 2 soft 500ml bottles. Mehh...so the website says "so comfortable you can wear it directly against your skin" so I did. I first tried it on a 10k run whilst wearing a vest top and this is what happened. That is a burn. TWO burns! It hurt like hell but I was half way round so I just grimaced and got on with it. The next morning in the shower was absolute murder! I tried again wearing a t-shirt which was much better so I'm not sure if I just need to wear a tee or if it takes a while to wear in? I love the fact that it's actually quite stylish. It comes in a 3 colours but I went for the ever in fashion, black. 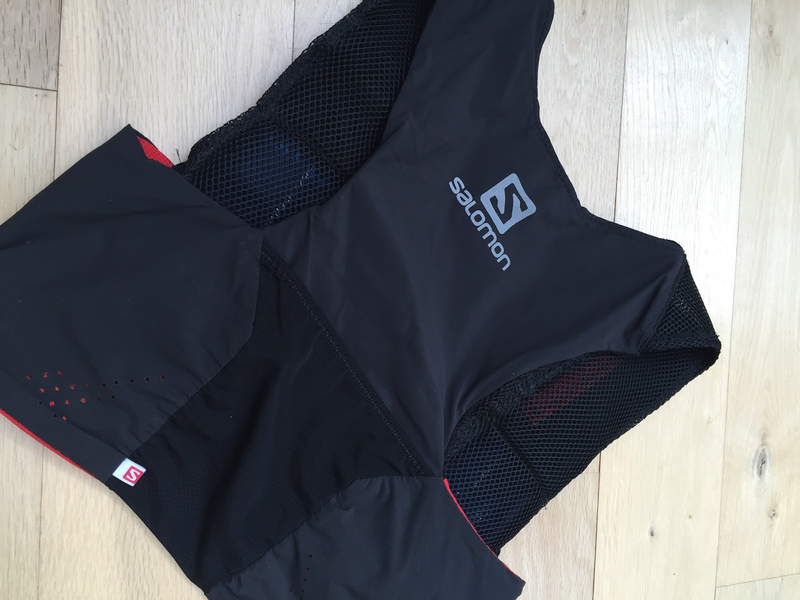 The pockets are a lot roomier than I first thought and everything feels very secure in there. I like the pockets with zips for things like car keys but no matter what I put where, it was super secure. I even tried a few engery bars and they didn't flop around or fall out- success! At £100 (£85 thanks Wiggle Gold discount + sale!) it isn't a cheap vest by any means. 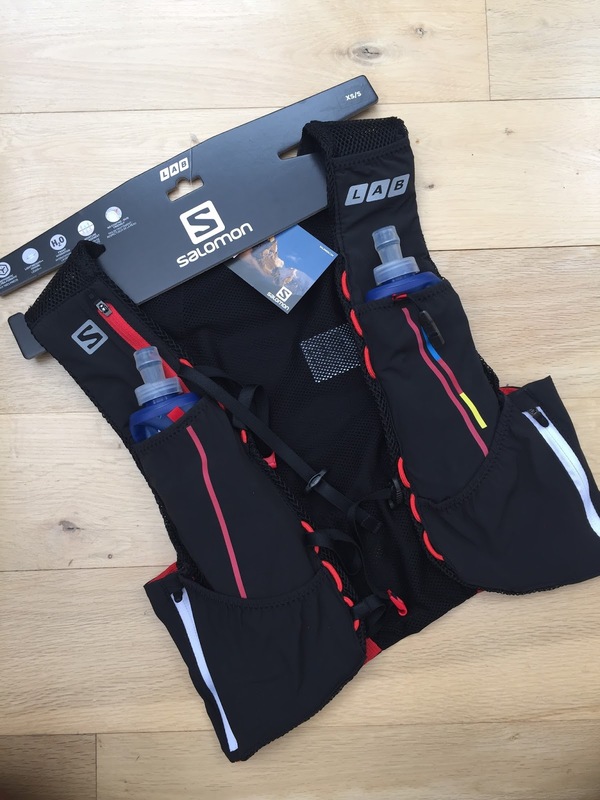 It is cheaper than it's successor, the S-Lab Adv Skin 12 Set by about £50 and to be honest for long runs, possibly a 50m ultra, this is the far better option as it is small enough for everything you need so you're not carrying any extra weight. A well designed product that is functional and actually quite stylish. I think its need a bit of wear to feel comfortable so I'm going to try and keep using it. It's very handy even for shorter runs when you just need to take some fluids with you and I detest holding a bottle when I run. I really like this and I'm looking forward to getting out on some long trials with this bad boy!